Mayim Bialik scored an Emmy nomination for Best Supporting Actress in a Comedy for playing Jim Parsons' super-smart yet socially awkward biologist girlfriend on The Big Bang Theory. 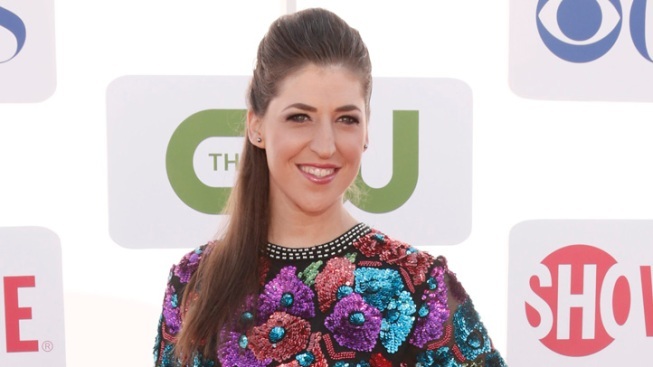 Mayim Bialik had a scary big bang-up in her car today. The Emmy-nominated actress was rushed to Cedars-Sinai Medical Center at around noon with severe lacerations on her left hand and thumb after being involved in a car crash, police confirm to E! News. Bialik, who was alone in her white Volvo, was traveling south on La Brea Avenue when a northbound car with three people inside attempted a left turn, resulting in a near head-on collision, according to LAPD media relations spokesman Richard French. The occupants of the other car suffered minor injuries and did not go to the hospital. French said that no crime was committed in this case. Bialik, 36, scored an Emmy nomination for Best Supporting Actress in a Comedy for playing Jim Parsons' super-smart yet socially awkward biologist girlfriend on The Big Bang Theory.